Here are five steps to engage parents in their children's education, whether through at-home activities or in-class participation, to help foster academic success. Editor's Note:This post was co-authored by Joanna Maulbeck, a post-doctoral research associate and professor of education at Rutgers University. An important component to supporting academic success is the relationships between home and school (Dodd & Konzal, 2002). Strained home-school relations may result in or contribute to low student performance. One way to foster these relations is by creating meaningful assignments and projects that connect life at home to life at school and vice versa, encouraging fluid, connected, and pertinent student experiences. When planning such assignments and projects, consider the questions and ideas below. Whether you use them or simply consider them as building blocks, they could inspire your own amazing ideas. How will the students benefit from this project? How will the parents benefit from this project? How will the teacher benefit from this project? The best practices that link home and school will benefit all three stakeholders. Think about the needs of each stakeholder (students, parents, teachers) and then consider how you can meet those needs. Below are a few examples of projects and assignments that have potential to benefit all parties involved. It's not uncommon for conversations between children and caregivers to be confined to "How was school today?" Providing an opportunity for children to have an in-depth conversation with adult caregivers could be powerful. One way to do this is through the use of interviews. Have children ask caregivers to share about their lives, perhaps about their best childhood friends or the first time they saw their children. Encourage students to ask caregivers about things they love or are scared of, earliest memories, or hopes for the future. In doing so, children are provided with an opportunity to connect with adult caregivers on a deeper level, as well practice interviewing, taking notes, and writing up results. When back in school, children can share findings, either in writing, through presentations, or both, further tapping into their literacy, as well as public speaking skills. Homework is often seen as a solitary practice where students finish a few pages, read for a few minutes, and then get on with their life outside of school. However, homework could become more interactive between students and adults if the teacher scaffolds the experience for parents. Let them know exactly how you hope they'll be involved in their child's homework. This might be through an interactive notebook, calendar, or maybe even a web page. Also, provide tips for parents about how they can be helpful during homework time. Create a list of historic sites, churches, and parks in your area. Almost every town has interesting places to visit that are free or very low cost. Share this list with children and caregivers as a way to encourage a family outing that is also a learning experience. You can ask families to share photos or just a few lines about what they liked or disliked about the site. The photographs and testimony could be saved in a book in the classroom or featured on a bulletin board so that students can share and learn from one another. Provide welcoming opportunities for parents to be involved in the classroom, where they can see what happens there and interact with children and teachers. There are various ways to involve parents. You can create a time in your classroom for "15-minute experts" where parents teach the children an interesting or useful skill -- cutting vegetables, changing a diaper, grooming a pet, folding towels, or any number of things. This activity has potential to reinforce students' listening skills. Teachers can also extend the activity by asking students to practice writing "how-tos." Parents can also be invited as guest readers, sharing their favorite stories with the class. 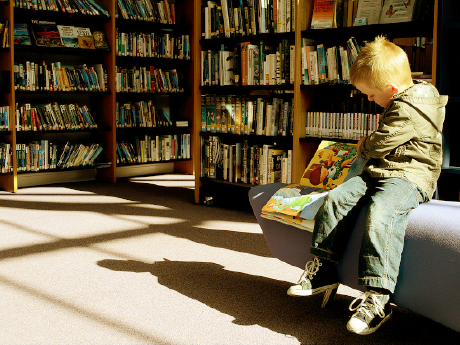 Sharing stories as a community has great potential to foster your students' appreciation for literacy. It's not uncommon for students to ask, "Why are we learning this? Why do I need to know this?" One way to make learning relevant is to build a connection between home and school by teaching "real-life" lessons that expose students to content which can be used to help them live healthy lives. An example of such a lesson entails finding out how many hours of sleep the children in your classroom need based on their age. Teach your students that getting enough sleep enables us to pay attention more easily, learn, and remember information. 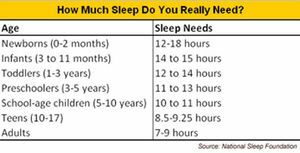 Students can keep track of how much sleep they get through graphing, charting, or journaling. They can draw a connection between the variations in sleep to experiences in school. Results can be shared with parents in various ways, such as an interactive homework assignment (described above) or through the "positive phone call home" described in Elena Aguilar's Edutopia post. Such lessons not only establish a connection between home and school, but also serve as a step toward healthy living. Since effective education entails a partnership between home and school, we must creatively foster that partnership. This can be done through the projects and assignments described above, as well as many other ways. We hope that you will continue the conversation and share your ideas in the comments section below.